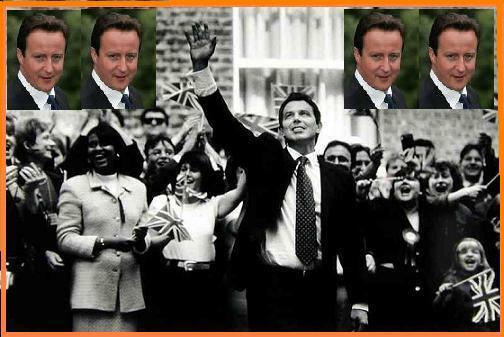 politicalbetting.com » Blog Archive » Could Cameron win a victory of 1997 proportions? « Can Brown go on not giving a view? Could Cameron win a victory of 1997 proportions? Has Labour’s time run out? Nick Sparrow, boss of ICM, has sent me an email in response to recent comments suggesting that August polling is somehow unreliable. He makes a strong case that this isn’t correct by looking at his polls in the August ahead of the past three general elections and what actually happened. August 1996 poll suggested that Labour were ahead by 12%. This very much supports a point that we have examined a fair bit here – whether there is a so-called swing-back to incumbent governments in the run-up to polling day. The ICM numbers certainly contradict this. On polling generally my view is that there was a step change in opinion in April/May of this year and it’s now hard to envisage further dramatic movement. But of course “events” could intervene. What’s striking is that we’ve had three political moves in the past two months which lifted Labour’s hopes but had almost zero impact on the number – Andy Coulson and his News of the World experiences; Andrew Lansley and his 10% cuts “admission” and Daniel Hannan on the NHS. Of course as the financial advertisements always tells us past records cannot guarantee future performances – but if the ICM August poll is replicated in actual votes at the election then Cameron could get a bigger majority than Tony Blair in 1997.